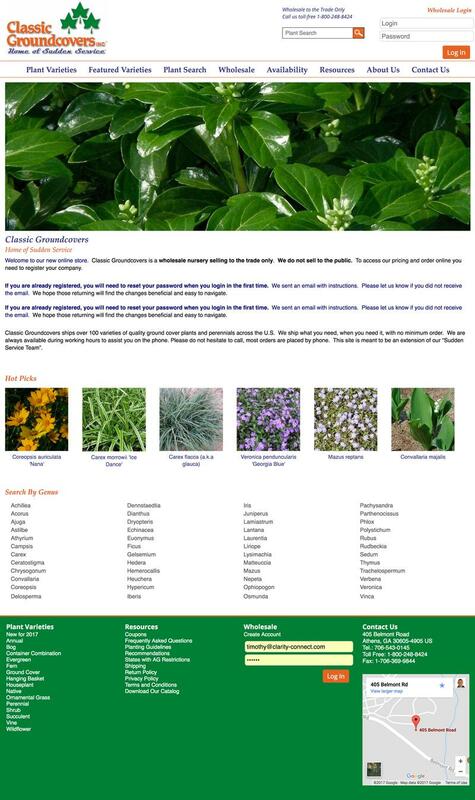 "Classic Groundcovers is a wholesale nursery selling to the trade only. We do not sell to the public. To access our pricing and order online you need to register your company. Classic Groundcovers ships over 100 varieties of quality ground cover plants and perennials across the U.S. We ship what you need, when you need it, with no minimum order. We are always available during working hours to assist you on the phone. Please do not hesitate to call, most orders are placed by phone. This site is meant to be an extension of our “Sudden Service Team”."